There's a good chance you too will want to get and up dance with these brilliant dancers. NEW DELHI: There are quite a few incredible dance performances doing the rounds on the Internet. This one, however, reposted on Instagram by Arjun Kapoor, will definitely get your feet tapping and shoulders popping. The Ki & Ka actor recently shared a video of a bunch of dancers putting on the coolest bhangra routine at a class in Los Angeles. "These women made me wanna get up and dance," he says on Instagram along with the video. People sure seem to agree with Arjun as the video has collected over two lakh views within six hours of being shared. In his post, Arjun explains that he came across the video while randomly looking through his Instagram feed. He even gave a special shoot-out to the choreographer behind the awesome routine. "I don't know you, found your video on my feed randomly but you guys are outstanding," he says on the photo sharing app. 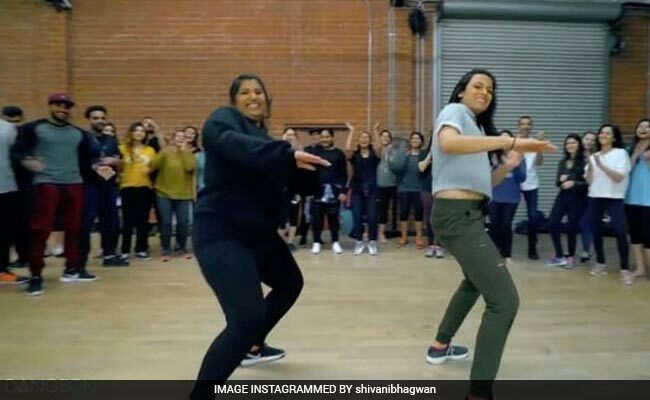 The video shows dancers Shivani Bhagwan and Chaya Kumar dancing to a remix of Major Lazer's Lean On and Miss Pooja's Nakhreya Mari. And Arjun is right. There's a good chance you too will want to get and up dance while watching these brilliant dancers. The post has also collected over 41,000 'likes' and hundreds of comments. "Wow very NICE," says one commenter. "Mind blowing dance," says another. Even the dancers have thanked Arjun for sharing their video. "Thank you so so much for sharing our video! Chaya Kumar and I love you so so much and would love to dance with you someday," says Shivani Bhagwan on the post. Her dance partner Chaya Kumar reiterated her thoughts: "Thank you so so much for sharing! Shivani Bhagwan and I are huge fans! We would love to dance with you someday!" We know we're impressed. What about you?